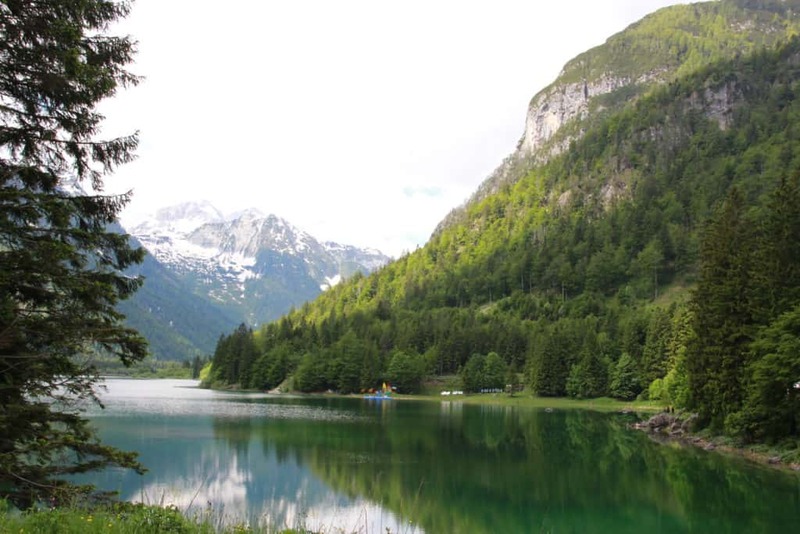 I’ve spent some time raving about Slovenia’s disproportional share of natural beauty in several other posts, but I’ve saved the best for last. After flying under the radar for decades, Slovenia is finally getting some of the attention it deserves, and visitors are discovering the serenity of Lake Bled, the vibrancy of Ljubljana, and the colorful charm of Piran. 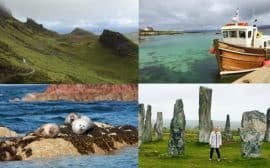 But somehow the country’s most stunning area almost never gets mentioned. That is, of course, the Julian Alps. 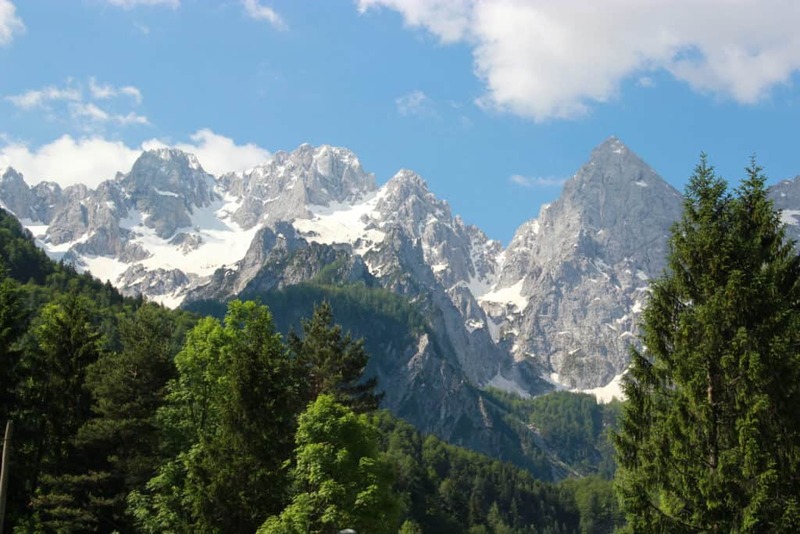 What are the Julian Alps, you ask? Named after Julius Caesar (who founded an Italian village at the foot of the mountains), this range lives up to the epicness of its namesake. These rocky peaks are cris-crossed with hiking trails, covered in dense green forests, and laced with rushing turquoise waterfalls and rivers. 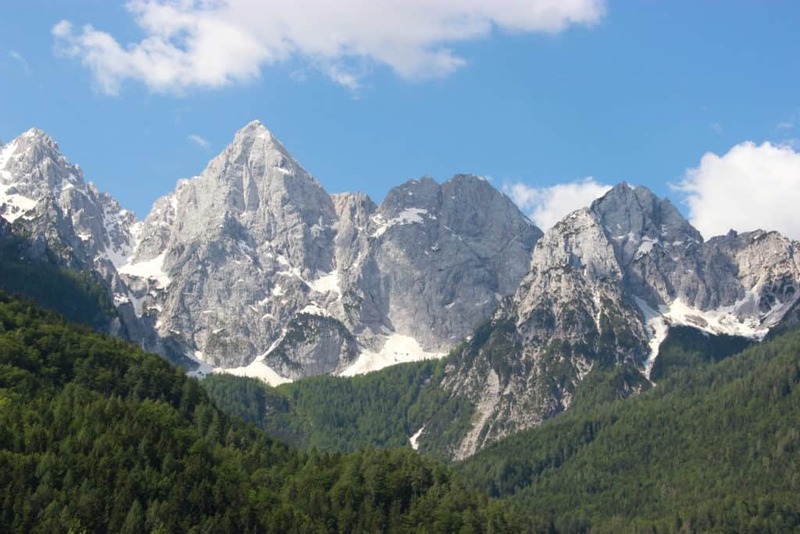 A large part of the Julian Alps are included in Triglav, Slovenia’s only national park, though part of the range is in northern Italy as well. 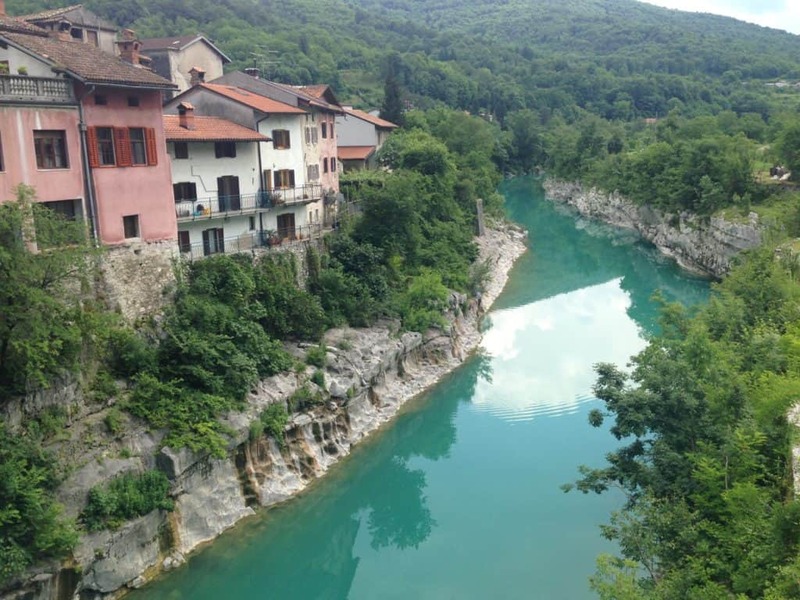 The most well-known and breathtaking parts of the Julian Alps include the 50 hairpin turns and climbs of the Vršič Pass and the clear, blue Soča River, through the town of Bovec. The route we took on this occasion was a bit different, as we were doing a fairly fast drive through from Ljubljana to Trieste to meet a train (and our friend had to turn around and drive back to Ljubljana before it got dark). 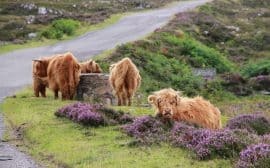 Because we were pressed for time, we didn’t stop and explore much or hike at all, but there are tons of hiking options and lots of both natural and historic sites to stop at. 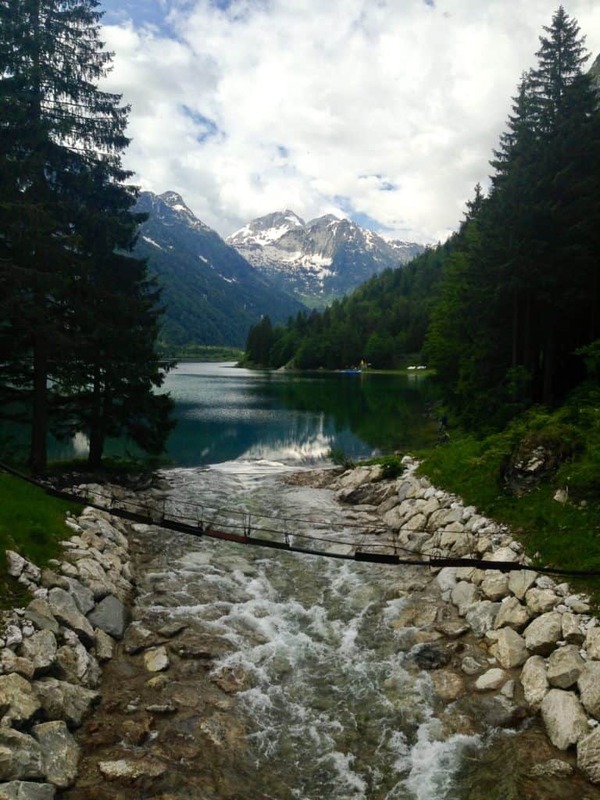 Seeing the Julian Alps is very flexible. 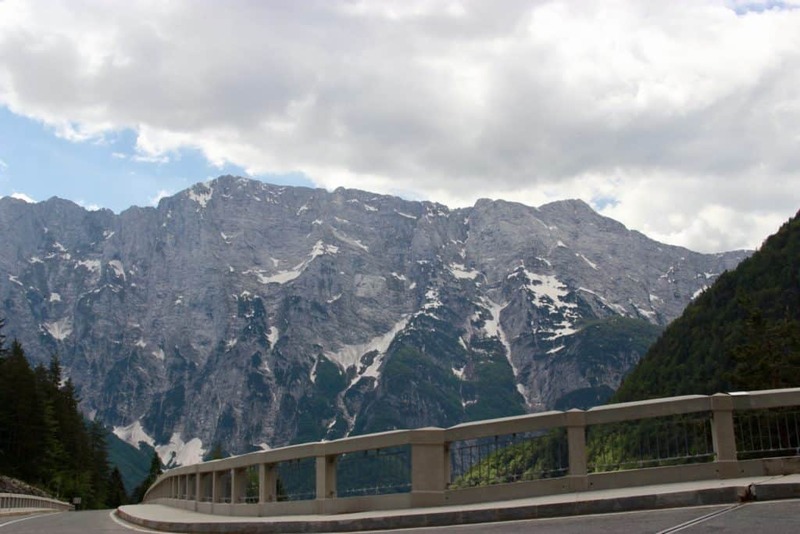 You can do it as a round-trip day from a base in Ljubljana, as a through-trip to or from Trieste, or between Ljubljana and Austria, northern Croatia, or other parts of northern Italy. 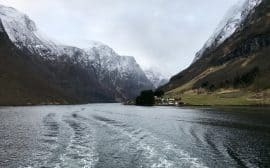 You also could spend a couple days driving the area and hiking, stopping to experience various suspension bridges, waterfalls, and more. We were lucky and had gorgeous weather for the drive. Despite good highway infrastructure, driving through the mountain passes here can still be quite treacherous, and I recommend choosing a nice day due to both safety and visibility considerations. We set off from Ljubljana fairly early so we could take our time and enjoy the scenery. 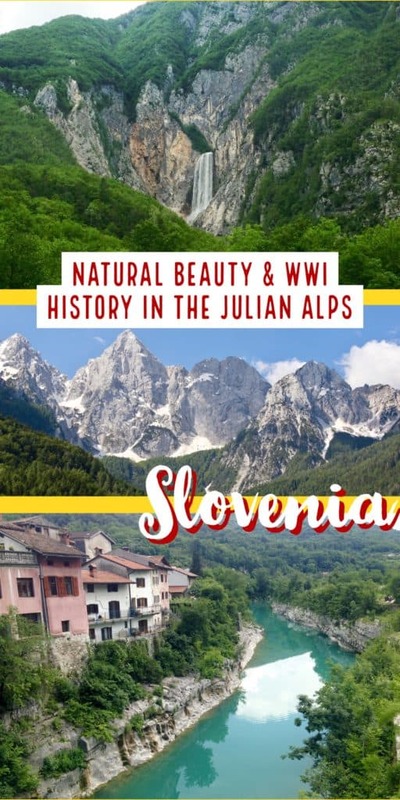 Despite its gorgeous turquoise waters and peaceful green forests, the Soča Valley and much of the Julian Alps were the site of WWI’s Isonzo Front, where some of the bloodiest fighting in the war took place. 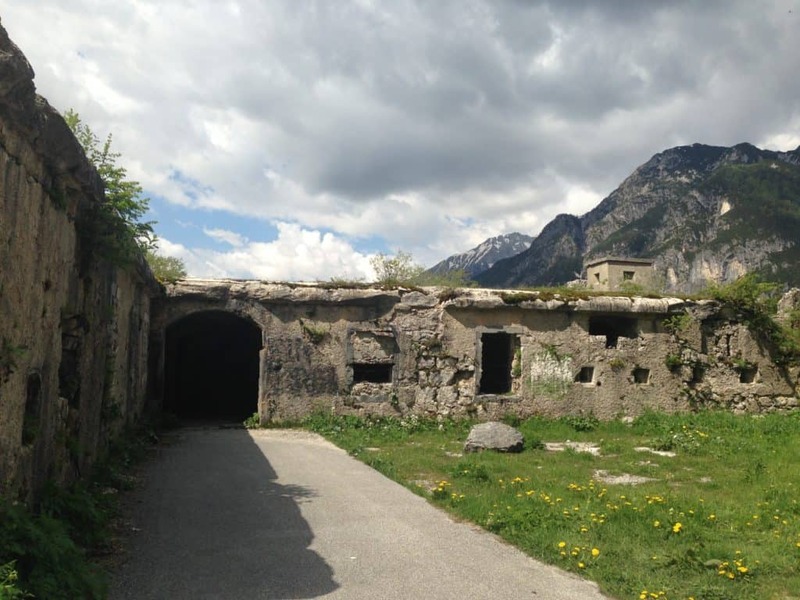 The country has done a ton of work to make various WWI historical sites accessible throughout the Julian Alps, including a multi-day hiking trail if that’s your thing. You can see one of the WWI fortresses from afar in the photos below. Over 29 months, and on a trench warfare front less than 50 miles long, more than 1 million Italians and almost 700,000 of their opponents (made up of Austrians, Poles, Germans, Hungarians, and Bosnians) died or were mutilated for life. They died from fighting, certainly, but also the weather and terrain itself. 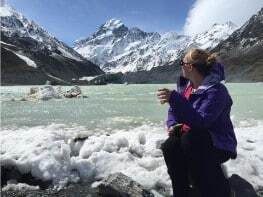 Freezing to death and avalanches claimed many. But the front wasn’t just vicious to soldiers. Thousands of Slovene (Austro-Hungarian subjects, at the time) civilians were displaced from the area during the fighting, many never to return, and thousands died in Italian refugee camps from malnutrition. 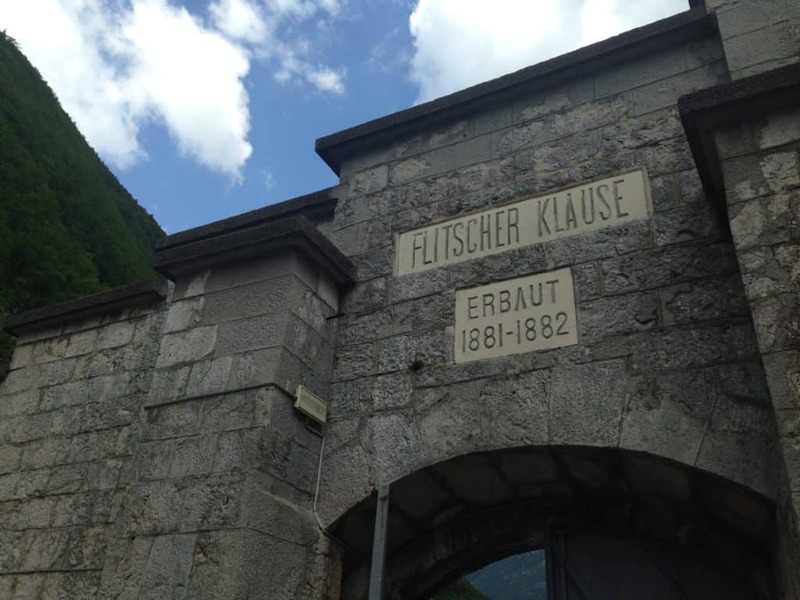 Additionally an estimated 8,000 Russan POWs died in total building the Vršič Pass—most from having little clothing and food in the brutal alpine winter. There’s a Russian chapel dedicated to 300 Russian POWs who died in an avalanche while being forced to build the pass. The area was occupied by Nazi Germany during WWII, then became part of the (now former) Yugoslavia. 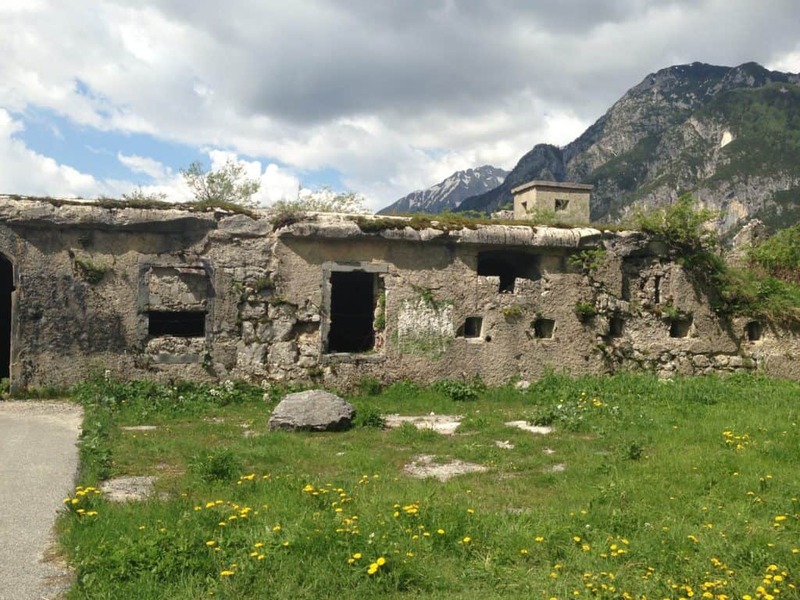 Since Slovenia’s independence in 1991, an effort has been made to preserve some of these sites that were left to decay after the first World War. 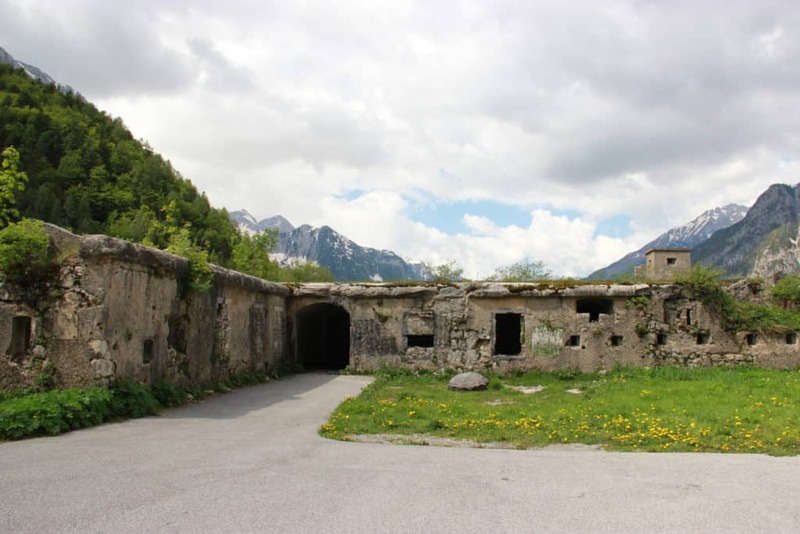 Above is the Kluže fortress, high above the Koritnica Gorge and near the town of Bovec. I wish I could remember what the barracks below were called but can’t find them to save my life…if you know, please give me a shout in the comments! We made sure to stop along the side of the road to get a glimpse of Most Boka. 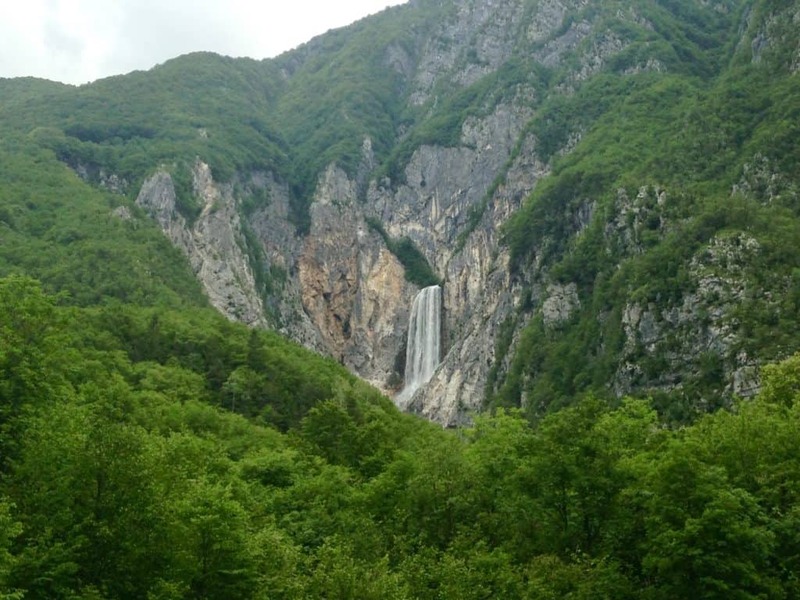 At 144 meters, this is the highest waterfall in Slovenia. There’s a hike up to it too, around 45 minutes up from what I hear. Opinions vary on whether it’s easy or difficult…we just viewed it from the road, though (the shot below is with an okay telephoto lens). 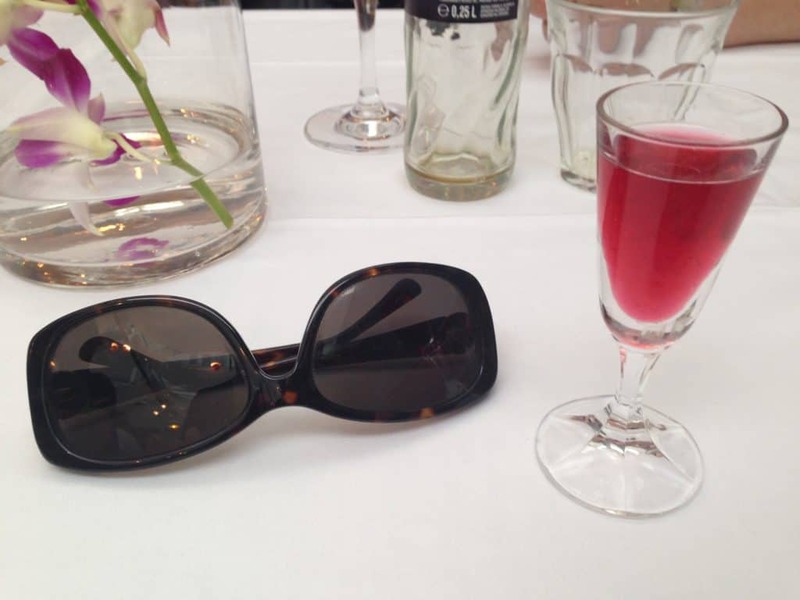 We stopped for a lovely lunch in a town that I sadly can’t remember the name of, I believe near Gorizia region. They brought us out a complimentary (and very bright!) digestif that was the perfect capper on the day. Crossing the border into Italy was a simple affair, and our friend dropped us off at the train station in Trieste. Because Slovenia is part of the European Union (as is Italy), it was almost like there wasn’t a border. 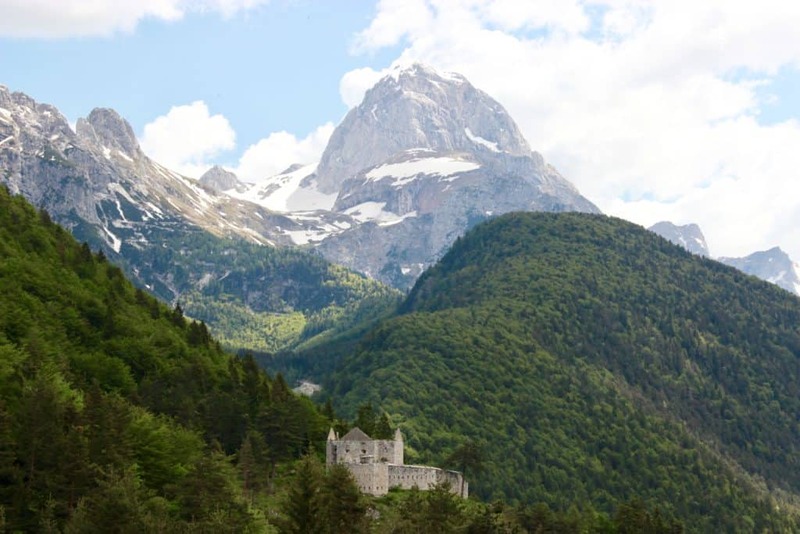 Had you heard of the Julian Alps before, or visited? I’m fascinated by the history and beauty here, and would love to hear your thoughts in the comments!